RAW Innovation for smoking King Size Cones! 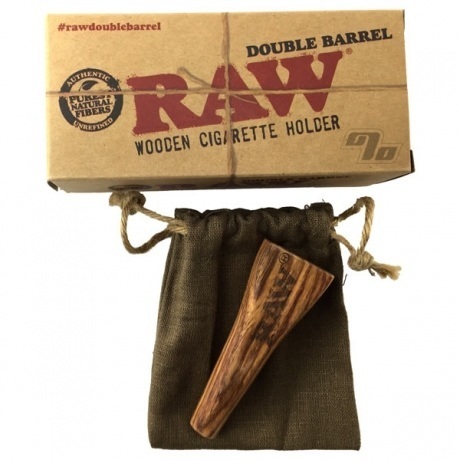 The RAW Double Barrel is a wooden cigarette holder holding TWO, that's right, TWO Roll Your Own cigarettes at a time. Liven up any party. This Rawthentic hand made wood holder has been brought to you by RAW Rolling Papers but works with just about any king size rolling paper or pre-rolled cone. If rolling your own be sure to include a Quintessential Hemp coated filter tip for a better fit, improved taste and a smoother hempy draw. Awesome tool. Something fun and different to switch up your everyday use. Works good with any type of paper/wrap. A must have for the collection. Cool for parties you can even fit blunts in it. Works awesome. No nicks or holes so you're not sucking in air. 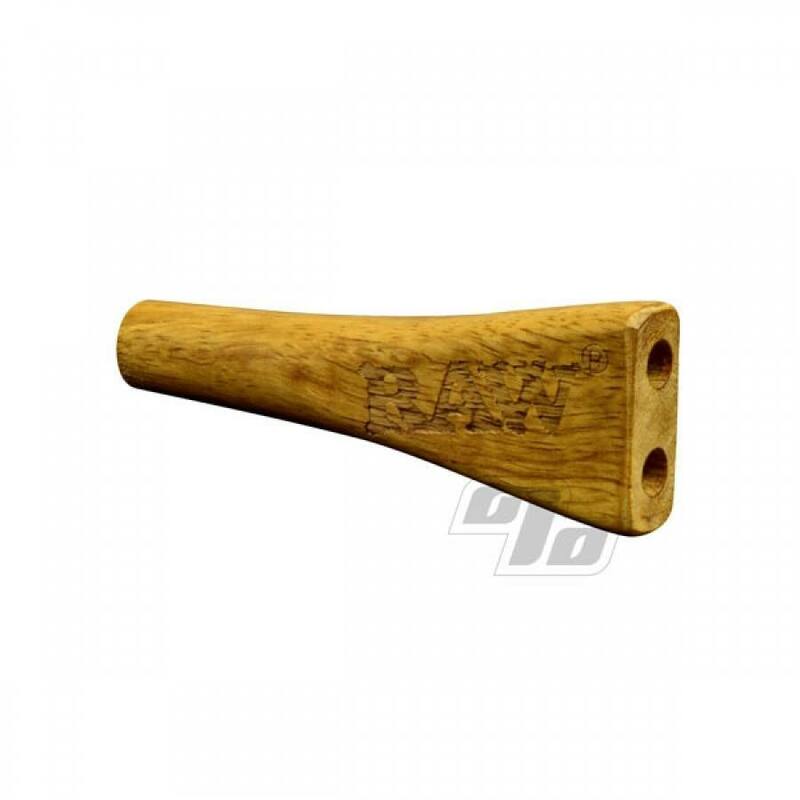 It gets people so stoked when you pull up smoking two joints out of this thing. Everybody will wanna hit it. Will definitely order from 1percent again!